​On day five, the girls had shown no improvement despite the hospitals efforts to help them. Later that afternoon, the hospital received a call regarding an abnormal result from the newborn screening test. We were then informed about the test results and that the girls needed to immediately be transferred to Lucile Packard Children’s Hospital. When we arrived at Lucile Packard we were met by the Genetics Team. They informed us that Sophia had tested positive for methylmalonic acidemia, but had still not received Charlotte’s results. However, because they are identical twins, they were able to assume that Charlotte’s results would be the same. We were given a lot of information that day and were also told about possible liver and kidney transplants in the girl’s future. When the girls arrived at Lucile Packard their MMA levels were in the 2000’s and their ammonia levels in the 250-350 range. Over the course of three weeks, Charlotte and Sophia stayed in the NICU while the doctors tried to fine tune their treatments to balance out their metabolic levels. It was during this that their genetic doctor, Dr Gregory Enns, was able to determine the type of MMA. The girls were diagnosed with methymalonic acidemia mut-0, a very rare genetic metabolic disorder. This condition inhibits the body to break down protein and certain fats. After what seemed like forever, the girls were finally discharged after almost a month. At home the girls were on a very strict schedule for medications and formula. Over the course of twelve months, we tried our hardest to keep the girls healthy. Even with our best efforts any sign of sickness resulted in a hospital stay. Fortunately the girls were able to avoid a second metabolic crisis. We kept the girls very sheltered to avoid any contact with germs, especially during cold and flu season. However, we were able to treat the girls to a Disneyland trip for their first birthdays. The girls loved it and had a great time. 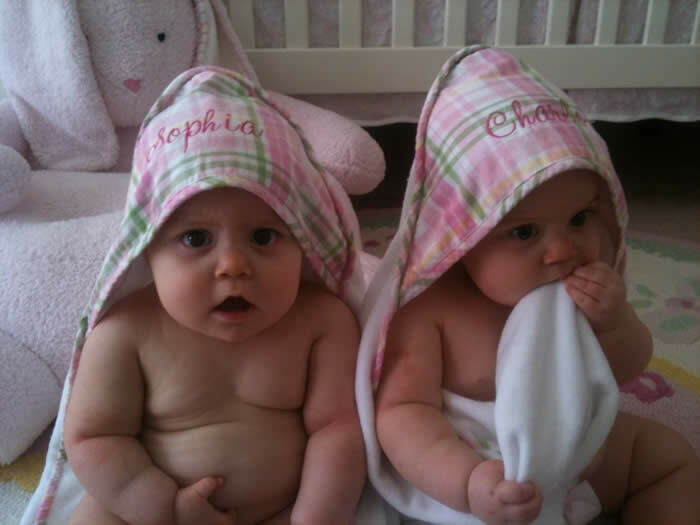 When we returned home, we decided to list both Charlotte and Sophia for the liver transplant list. Their kidneys looked fine, but Dr Enns recommended liver transplants early to hopefully avoid damage to the kidneys and brain. We were fortunate to only have Sophia listed for 10 days before we got a call for a liver. Charlotte’s surgery followed only 20 days later. Both surgeries were successful, but they experienced complications afterwards. Their post-surgery complications kept them both in the hospital for a month each. We were fortunate enough to have both girls be home for Christmas. Since the transplant, Sophia has been hitting many milestones. Overall she is a much more outgoing, active and happy 17 month old. Charlotte just recently had her bile catheter removed and we are hoping to see more physical milestones. She has been much more verbal and loves to read books! We are very relieved that so far the transplants have been a success. We are so proud of how strong Charlotte and Sophia are, especially with everything that they have had to endure. They are an everyday reminder of how precious life is. We are so blessed to have such wonderful children and can’t even imagine what life was like without them.